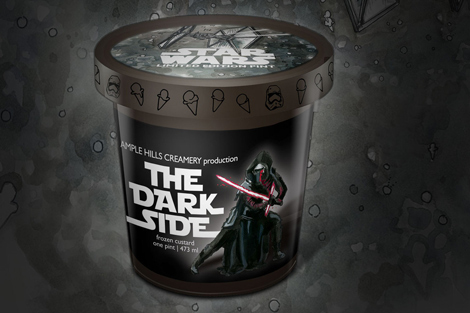 May the ice cream be with you. Brooklyn’s Ample Hills Creamery—one of our favorite ice cream shops in America—has found a pretty sweet way to celebrate the December 18th release of Star Wars: The Force Awakens. 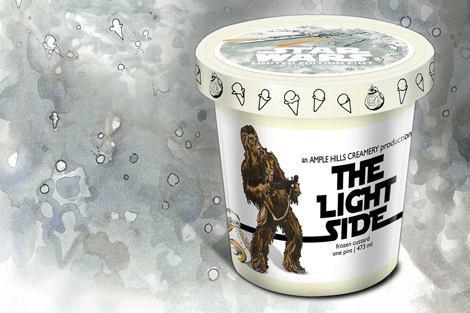 The ice cream company created two limited-edition Star Wars ice cream flavors in collaboration with Disney and Lucasfilm. The Force is strong with this Brooklyn ice cream shop.